Do you work for Norton? Learning about Norton? We can help. Operating one of the world's largest cyber intelligence networks, Symantec sees more threats, and protect more customers from the next generation of attacks. "It gives me a medium protection." after having used several versions of norton what I can highlight as positive is that, norton offers explanations about threats and information about the use of computer and memory resources, which are easy to understand helps to avoid future infections, and maintains the high speed of execution of the equipment. also gives me a good protection against vulnerabilities, prevents the vulnerabilities of my computers are infected. On the other hand, after having installed norton on my computer and phone, I can safely say that its main disadvantage is undoubtedly, Poor performance against spyware and other threats despite saying that it acts against them, recognizes very few and eliminates less! is limited to viruses, this is a problem for any user. with norton I have had a regular protection in all my equipment, I can not leave my computer unprotected, since as an accountant I manage all types of documents online and offline, and I must have a prteccion to avoid future inconveniences with certain viruses, norton protects me online and offline. Initially, the use of equipment resources by Norton was observable. This aspect is absolutely negative. However, I can say that this segment has improved significantly during 2018, they have made impressive progress in overcoming this weakness. Another aspect that should improve is the technical support, they are somewhat slow and a little lost at times. Norton has always been a good product and is among the best in the market. But in the last two years we can observe a notable improvement in the elements that made it slow or that occupy many resources. This improvement is observable and I believe that without a doubt it projects it as the best protection system at the best price in the market. Absolute and real protection against the costly attacks of malware and phishing that exist in the network when connecting from any mobile or fixed device. Another element that resolves is the protection of identity and minimizes the risks that now exist in that sense. It develops and allows access through VPN to protect much more the network, both business and home. Norton is undoubtedly a truly effective protection system that we have used in our company for a few years and of which we have not had the need to change. From our experience with the use of this antivirus we can say that it detects any type of virus that can infect the system and manages to eliminate it without any problems that is what we really need within our system. The customer service team is not very effective since the times we have tried to contact them the response time is slow and of little use. Among the problems that we have been able to solve with the use of Norton are the protection of our systems against damaging information systems and the analysis of external devices that are inserted inside the components. "Quick protection for my team and personal information!" Since I use Norton antivirus on my computer I feel calm knowing that I can surf without limits on the web, this application quickly detects any threat that can enter my computer, performing a quick analysis while maintaining normal use on my computer, the process of the download is a bit slow so I recommend doing other activities while this process is done, the waiting time will be worth it especially for the rapids in which it detects different amanesas. In the day to day in which we live it is very important for me the protection of my team so I use this application especially for the constant viruses that haunt the web, I have allowed to open files through a previous analysis that lasts issues of second providing protection to my information, so I recommend the use of antivirus is the tool to keep both the computer and our information safe. I recommend the use of Norton Antivirus, for the protection and security of personal information, preventing any virus from accessing our computer, especially for people like me that we must access to various web pages or simply download via email to have A good antivirus guarantees the optimal functioning of our daily activities. I have helped a lot especially because every day I must access the web in search of relevant information for my work as well as receive and download documents through my electronic mail, with this application I can do my work without limit of navigation what for me It is very beneficial especially because I give security to my information and I can perform my activities feeling the comfort of being protected. "Antivirus Norto has good performance"
I consider that its main disadvantage is that I must always have Internet connection so that the updates are made in the system and have updated the antivirus against new threats, another is that it does not have compatibility with the Windows XP Firewall. "It's a good antivirus, very complete." I have this application installed on my mobile phone, and it is very good, I do not have to worry if I open any file on it, because Norton warns me of any threat, every day at the same time it is updated and informs me of the details. It can detect malicious software easily, it has a privacy function where all my data is safe, wifi and web security to have a safe navigation and advisor system. If I am protected I have nothing bad to say, it is very light and easy to use, the best barrier against viruses, it also includes a free version that you can use while you decide to buy. It is one of the best I have used with all the protection barriers it has is very good. It protects me 100% of any virus, I am very pleased. "It is a very versatile antivirus.."
I have this antivirus is my phone, computer and tablet, I like that it is not very heavy and it does not slow down my equipment, it also has some excellent functions, not only protection against malware, but I can enjoy wifi security, anti-theft, web protection, system advisor. This antivirus could not mention something negative, rather I have many advantages to say as the role of advisor for google play, which analyzes the applications before you download them and tells me if they are safe, in addition to its function to filter confidential information. It is excellent, as well as the privacy of applications, I am very pleased with the results I have had with this antivirus. It has kept me completely safe from any cyber threat. "Guaranteed protection for my computer! " What I like the most is that I just turn on the PC to perform an analysis in all my folders and the threats detected automatically removed. On the other hand, I also like it because it offers a trial version, which makes it possible to identify if it is good or not. For me it is one of the best antivirus. Great loss of time in the download process of norton, it can take up to hours, and on the other hand it is very slow computer and that is not pleasant. It is advisable to have a good internet service provider to streamline the download process, it is really worth it, it is a matter of having a little patience as well. It has helped me keep my computer clean of any virus threat on the web or any information that passes to it, I do not waste time with the analysis, it is fast and that contributes greatly to save time and keep the information without risk to loss or that I get hurt. "It offers me excellent protection." With a subscription I can protect several computers, it is an excellent tool to keep my electronic devices without risk of being infected by a virus that may contain a device that enters my lapto a page that opens on the web. So far it has seemed very good, I like that it is analyzed automatically every day, and it warns me of any result. Keeping me thus 100% protected, it does so early in the morning that does not affect at all the functioning of my equipment, it is also very fast when performing the analyzes to the pendrive or any other device. the best reward is to be protected and have my devices secure. the best benefit is to keep my devices free of viruses. "Best security and virus software ever!" It seems that all its software is compatible with future version. It converts well when you have to upgrade. The Identity Safe feature (a vault to save passwords) is the best. It's maintained mine for 5+ years already with no problems. The front desk, or the panel where you control all your options, is very, very easy to navigate. Considering I'm not well versed on using a lot of different programs, I very much like how it's arranged and laid out so I can use it more easily. The fact that over the years they've changed the program and I have been forced to upgrade even though the version of the program I was using worked fine. But that's just a person issue. In reality, all of their versions have been easy to use and install. If you don't have a disk because you've done a online purchase, their website leads you right through the steps to downloading and installing it. If you need help, it's just a click away! My only beef is that on some versions of some browsers their Security bar will not install until I get a different version of the browser. But I can work with that, and it's solvable, so no real big problem. They product support is excellent. Their customer service is second to none. They've always helped me out with no additional costs to me or my company. Get the best program of theirs that you can afford, but even there simplest versions work well and have protected me for years. I've also gotten their programs virtually (Ie: down loaded them from another website) and they work just fine. Customer Support didn't charge me anything when I needed them to fix something for me. They are the best I've ever used, and their pricing is very reasonable, especially for having multiple units covered. It's kept my online usage secure and virus free. It also saves passwords. While it doesn't encrypt them, as far as I know, I've never had a problem using or accessing them. For convenience they autofill when you get to a website. There's also a Norton Security bar you can install on your web browser. "Very good and fast antivirus to detect threats from malicious programs on my computer." For my work every day I must enter several pages to keep me informed and receiving information via email, this antivirus keeps me protected my equipment. It is a very good antivirus I recommend its use since it quickly detects any threat that can be installed on the computer before visiting an infected web page or downloading a malicious file, performs a quick security scan on every page that is entered or when opening a file showing a warning message when an unwanted program is detected and can be rejected immediately. We currently live in a very changing society where we must be protected from any intention to cause damage to our equipment or perhaps take advantage of our personal information, using a good antivirus we guarantee this security as is the case of Norton which allows me to surf the web calmly informing me of malicious files or unwanted pages what I find excellent!. So far I have not seen any disadvantage you just have to be passive when making the download as it takes a little, but it's worth the wait to keep the team free of unwanted programs that are nowadays abundant all over the web and even open some email we run the risk of damaging it. It is important to use this software to keep a computer free of threats that may affect the equipment or make use of personal information. I have kept my computer free of malicious programs that can be installed and take advantage of my personal information. "Norton Security is a reliable software you work with security. " It is quite easy to use and install, there are many functions available depending on the level of service you are using. I have not had any major problems with the software, Whether you regularly schedule hard disk scans, protect your personal information while using connection points, clean up your files, analyze if your computer downloads are safe, clear the remaining space, and more. What's also great is that The subscription comes with other device keys, which means you can protect multiple devices if you have a family with your own computers. Updates run automatically in the background with the need to actually open the software and click the update button physically. For the price of the software I am getting tons of functions at my disposal to use. The complications when the subscription ends, had slowdowns of the computer every time this happened. This is something that needs to be fixed. Now, that was a while ago, so I can not say that some features have changed since then. Most security features are easy to understand and use. Most classic viruses and spyware are detected before the recommended installation. I use this program to keep my systems safe and free of viruses, There is no 100% coverage but this helps fill the gap between nothing and all basic security needs. "Norton WiFi Security VPN (2018)"
Very easy to install and set up. I use this product primarily on my Samsung Galaxy Note 8 and iPad, when I'm away from my home firewall-protected WiFi. Norton WiFi Security VPN enables the user the benefit of secure communication as good as from behind an industrial strength firewall and doing so from a public access point. The VPN is a completely encrypted data stream tunneling from the user's device through any number of secure computers and back. For example, Norton WiFi privacy VPN makes it as secure to make financial transactions using your smartphone and public unencrypted WiFi such as in a coffee house ike Starbucks as it would be from the comforts of your own home. Haven;'t found anything to complain about yet. 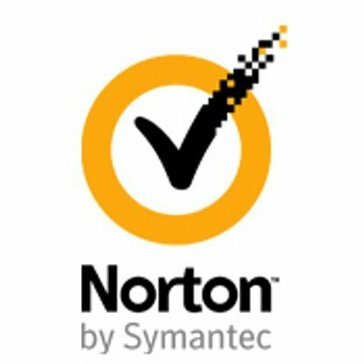 It's just another reliable product from Norton/ Symantec. Highly recommend. Another great Norton product! Norton WiFi Privacy adds bank-grade encryption that protects me when I'm on public Wi-Fi so I can use my laptop, smartphone (Android) or iPhone, iPad, etc., on any public hotspot without any worries. It works with any public hotspot and turns it into my own secure VPN to help keep my personal information safe and my online activities and my location private! It also allows access to my favorite apps and content anywhere I have accessed public WiFi including at my home. Norton WiFi Privacy encrypts my data, making the information I send and receive unreadable. I've used Norton WiFi Privacy for over a year now without any noticeable degradation in speed while surfing the Internet and streaming videos. Oh, one more thing that I like is that the no-log VPN doesn't track or store your activity. "With this antivirus, my computers are 100% protected." I have been using it for some time now and it is one of the best, what I like the most is that it does the analysis every day at the same time and notifies me of the results, so I can be confident that no malicious software will damage my equipment. I have it on my phone and my computer and I can recommend it, if it's about protection Norton is very good, it also has other excellent functions, nothing against it. it's very good, it's not very heavy, it runs automatically every day. It has given my teams a lot of protection. "Norton takes the crown from Mcafee"
I love how Norton does frequent updates to help keep my protection up to date. I hear more and more about people who get viruses or get hacked because they have sub par or no security at all. I like the Norton extensions such as the search bar scanner for Google Chrome. This added layer of security screens what I am searching. It is a preventative measure that helps stop me from accessing dangerous websites. I have encountered a few issues regarding other applications and programs on my computer. Norton occasionally will prevent legitimate and "good" programs from accessing and/or opening on my computer. I have had to disable Norton from time to time in order to make necessary changes and/or updates to my computer and programs. I do also consider the price of the program to be somewhat burdensome. Our company deals with highly sensitive personal and financial information. It is not only important but required that we utilize the best security software to ensure the safety of our clients information. Norton provides our company and our clients with the piece of mind that our information and files are protected. Our company has not had any data breaches or system crashes since we have implemented Norton security. The expense from Symantec's site can be too pricey sometimes. There is no chance to completely disable the advertisements that show up regularly. I want I had the choice to do that. It likewise enables access to my preferred apps and content anywhere I have actually accessed public WiFi consisting of at my house.Norton WiFi Privacy includes bank-grade file encryption that safeguards me when I'm on public Wi-Fi so I can utilize my laptop computer, smartphone, and so on, on any public hotspot with no concerns. It deals with any public hotspot. "It guarantees excellent protection. " It is an excellent antivirus that gives me guaranteed protection while I surf the internet and when I place any device on my computer, I could not stop using it, because I feel very safe with it. It helped me to be protected from cyber threats at all times and places at very low cost. This antivirus has gone very well, since it has kept me very protected, it is analyzed every day at the same time and very early in the morning without affecting the functioning of my computers, as it is analyzed in the background. I can not mention anything negative, it works very well, keeping me free of threats, I am very pleased with the service, it runs very fast and sends me support of everything found. It has helped me to keep my devices free from any threat by stealth that is. I like that it keep my computer safe from any potential threats. I have not had a virus on my computer for over 5 years with this program. I am an avid computer user & do occasionally receive malicious software but Norton will notify me, if a program is unsafe through the community. You will not have to worry with Norton as it is always running & stays up to date. What I really like is the power eraser tool & most features on the program. Sometimes the program blocks certain programs that Norton may deem unsafe. I would have to disable the firewall to download the program without an issue. However, this is what it is built to do so I can't really complain. Other than to disable the program to allow certain files to run, I still really like the product & it's value. It is a great product as I have been using it for years. I have never had any issues with resolving threats on my computer. It stays up to date and maintaining the security system has been a breeze. If you are an xfinity customer then you can download the program for free on multiple computers. I would highly suggest taking advantage. This has been an excellent product for us. We are able to save money & time with Norton keeping our system safe. If you are an Xfinity customer then the product is free to use, which we have taken advantage of. "Memory Hog, but it works"
I found that Norton was a good product and I did not have any problems with viruses as long as I was using the program. It worked for Internet, and email well. I was also teaching and students would pass viruses via Word or Excel and so I would aways use the program to examine files before opening them. It never failed me. The cost of the program became difficult for my home use. I have multiple computers and although you can get a multiple use license it still required multiple licenses. The software took a lot of memory and that was a negative. I used the software for personal and work use and I liked the software. The cost was the negative for me. And it is a memory hog if you don't have a lot of ram on your system and need to use programs that also take a lot of memory. It provided the required virus protection that I needed for both PC and multiple Laptop use. "A good all around security software with good detection capabilities"
the detection has improved a lot in the recent years and has become great from average. That is why some users of Norton prefer to install security software such as Malwarebytes anti-malware to provide additional security to their devices. A good security software with the best identity safe feature i have seen, detection rates are great not excellent. Protection of devices from hackers and infections and automatic form filling. "Safe scanning of agile and effective programs"
The greatest virtue that this antivirus program has from my point of view is the ease with which it scans programs in real time while I have the programs that I am using open. It also has a protection for the main web browsers that make the work done much safer. For example when I have to log in to my clients' pages that are not very secure, the tool is activated in the background without blocking it. Highlight also the tool that integrates for the management of passwords, which allows to have them perfectly stored and able to access them with total security. Disadvantage in the daily use that has given me is that the implementation of more devices poses some difficulty from the point of view of having to hire more services. However, technical support offers specific solutions with a short response time. Great work program that integrates the main technologies, IOS as Windows and Android at an excellent price and with quite complete features. When my company contracted the services of this technological program, the first impressions were quite good. The integration did not have difficulties in our terminals, being the same almost perfect. It has a visualization that makes it a very simple tool for all types of users, whether professional or domestic, that make its use very useful. "Efficiency and effectiveness and security in the company." It presents a great characterization with multiple and detailed commands that have helped me to work in a secure environment in my company. The integration with the operating system is very simple to execute, it has a great speed of information processing and it allows to eliminate the virus threats that invade the files that I run on the net every day. Possible disadvantage is the effectiveness of the antivirus when a pendrive is executed. From my experience it was impossible to recover data from a corrupt file, I understand that recovery was impossible. The integration with the mobile device is not entirely perfect and does not fit in the most suitable way to the terminal frame as well. Excellent product to work in a safe way in the workplace. It has a reasonable price and a very good technical team behind this company, which is a good option for important companies. The use has been quite simple, without presenting delays in the execution time and installation of the system in our computers. It has a great quality and simple use what allows to be a great tool of work in the day to day. "Norton Security Premium, antivirus muy completo"
Es uno de los antivirus más completos que he utilizado, muy intuitivo y fácil de usar. Permite agregar 10 dispositivos de diferentes fabricantes IOS, Android Mac o WINDOWS, lo cual se agradece mucho por la diversidad de aparatos que tenemos hoy en día en el oficina.Además nos dan 25 GB en la nuve para almacenar nuestros archivos más valiosos. El control parental del que dispone es muy completo, con multitud de opciones a configurar. El proceso de instalación puede llegar a resultar muy largo frente a otros productos similares. El control parental a veces no funciona adecuadamente, te deja visitar sitios inadecuados sin que los detecte el antivirus. Alguna vez he obtinido algún falso positivo. EL precio es muy elevado para mi gusto, comparado con otras alternativas. Recomendaría este antivirus siempre y cuando quieras un producto fácil de configurar pero que no tiene una efectividad del 100%, además es un producto algo caro en comparación con el precio que ofrecen productos similares mucho más fiables de otros competidores. Me ha salvado de perder algún archivo que otro al detectar la amenaza a tiempo. "Wouldn't do business without it!" It keeps me out of trouble! Not that I go roaming around online, but as a healthcare office, we need to be careful with HIPAA laws, we cannot be too careful, Norton keeps things smooth and notifies me immediately when there is a threat, takes care of it, and I don't have to even think about it! The pop-ups. Send me an email when my subscription is due, (even if I am on automatic payments), the pop-ups are insanely annoying, for any company, unless a threat has been discovered, then bring those on so I am aware..
Keeping my patients information safe is a top priority, and we take it seriously. I like that I don't have to worry with Norton. "Great antivirus software for private/company users"
Norton is one of the best antivirus software available for business segment users. However it have convenient interface and useful features even for home users. Anything really, it is really good software. Simple and intuitive interface, powerful scanning and real time analyze module, doesn't take much of computational resources. Maintaining good working condition of the laptop and PC. Norton is easy, trusted and safe -- and always reminds me when I'm up for renewal -- since my card is saved in my account with them it's a seamless transition to renew. They just email the receipt. I've been using them for just about 9 years and have remained safe and protected throughout! I haven't had to call their customer service in quite some time, but I remember it being quite a process to reach them before -- it possible in recent years they have made it easier to contact them -- however I can not speak to recent years. I do wish it wasn't so costly -- but I suppose good protection has to cost something. As long as the price doesn't offend you, I'd say you're in good hands. Well, I think it's fairly obvious to say preventing cyber attacks, which as we all know, are a very real threat. I've had to replace computers in the past, but never because of a virus infection. So I would have to say that the benefits of using Norton are pretty clear. It helps me to keep my electronic devices free of viruses, it is very complete and light, it has a function to protect the navigation. Norton is one of the best antivirus I have used, it makes its scanning very fast and daily automatically, I could not mention anything that I dislike. has kept all equipment protected, without risk of being infected by viruses. "Norton saves the day for the non techies!" Norton tells you what is safe, what is not. It stops things when you have people who click on stuff they shouldn't. Norton really saves the say when it comes to internet security. Nothing to dislike, so far i have no complaints with this program. Norton is a great reliable internet security. They are always keeping you up to date. In times of a actual internet security they communicate with their clients to ensure there is nothing to worry about and give helpful hints on how to further protect yourself. Its not so much what is realized, its when you receive a notice that they are blocking some high alert security issues, that you are grateful you are using it. "No need to worry with Norton"
Norton is an all in one comprehensive security software application for my computer that runs in the background without slowing down my work. Norton constantly looks for threats to my computer including new types of threats. I don't have to be concerned that my computer is vulnerable to attack. Always use virus software, it's not worth it to have to buy something after your information has been stolen or your device compromised. I don't have to worry that security sensitive work products may be vulnerable to malware or spyware. I also don't have to be concerned about a virus on my computer or other such attacks. I like how everything is built together all in one solution. You have 1 piece of software to use for Firewall, Antivirus, Backup, and Performance. It sits in the background and alerts me when there are things I should take action on but otherwise, it sits there and does what is designed to do. It scrubs my email and removes the items that have viruses in them and lets me know what they are. There is a log of everything it does so I can see what all it has done. They show me statistics every month of how mI compare to a lot of the world. The Backup interface isn't the most robust. You can't easily control the backups on the web interface. The program control in the Firewall is a little clunky and slow at times. It doesn't always show me name of something as I would expect, sometimes it shows the filename which I don't always know off the top of my head. It does slow my system down a little a bit. Give the free trial a spin. They have a lot of offerings that can be confusing as to which one to get. Pick the option that covers all your needs, not just 1 piece. I'd say either go all in or not at all. Because we work on the internet and have to send/receive files, download files, get tons of email, we are constantly battling with viruses, hackers, trojans, etc. Norton does a very good job of defending us from all that. "Protection I never have to think about"
"Norton Small Business EndPoint Protection software - work in our small network"
The central administration feature lets me view the status of each of the computers in the network and, if necessary, carry out operations on any of them as needed. The error messages can be a bit cryptic at tines, and the user must make sure he knows the difference between a detected problem and a resolved problem. Take installation slowly to make sure you have all the PC IDs correct and are identifiable to system administrators. Network and PC security in a small (4 workstations) running Windows 10 with a Windows Server Essentials 2012 server. The central administration capability keeps me from having to log onto each PC to run updates and installs; these can be done from one terminal. "Its a good antivirus software. Must give it a try"
It is good. It protects from the latest virus malwares and what not. The only thing that I hated was it made my computer slow. It was somewhat a heavy software. Rest it was good. It's a good software. Can be trusted and will protect against latest viruses. Apart from making a computer a bit slow, you can use it for security. Helped keeping my system secure, helped me scan external drives and downloads. I know that I am protected with Norton with daily quick scans and weekly complete scans I feel that my work along with data of my business is protected. The Norton tool bar is great!!. I have yet to find any problem with Norton I like the soft ware compared to the computer malware and the previous software that was purchased. I highly recommend Norton based on the years of service provided. Keeping the date protected along with my computer safe, I can search the web safely with the toll bar and keep all my information safe. It gives our customers a sense of security that there is no worry for them to do business on our site. I truly have not seen anything about the service that I don't like. "Norton as an Anti Virus Software"
Norton provides anti-virus protection while surfing the web. This is nice because it allows the user, often uninformed about the contents of a website before they visit it, to have an additional layer of protection on the web. This can notify them of dangerous downloads, prevent unnecessary downloads, and even find and remove dangerous files within your system. Some software on the internet contains harmful additional components in them, and Norton allows for the removal of those parts of the software. Norton allows for full system scans that remove software that is slowing up your computer with unnecessary or unwanted softwares. All in all, the protection given by Norton gives the consumer and/or company a safety net that allows any user or employee to safely surf the net. Norton is a paid software, and there are many other softwares that offer similar functionalities at a lesser cost, no sometimes no cost at all. In addition, Norton advises the user to remove all cookies, and identifies them as a low risk threat. To the uninformed user this can be seen as slightly frightening, especially since the pick up of cookies is so common. However, cookies are relatively benign and often helpful to the consumer, and the identification of such as a threat is a little ridiculous. I feel it is more a ploy by companies to keep the less informed more on edge to give an impression that this software is necessary. It is one of the most well known internet security softwares available, and it is a name you can trust. However, there are other options that are cheaper and provide many of the same functionalities, so what you are paying for is more the brand name that comes with it. Norton gives a trusted security blanket to web surfing done in a corporate or leisurely environment. The company brand is well trusted. It’s safe and easy to use but not the greatest support. It’s keeps all the financial and customer information safe. "Classic anti virus but burdensome on the system"
I like best that plethora of features and options and different security option that it has. Its very comprehensive. It covers Virus protection, Malware, protection from hacked websites. I disliked how deeply it integrates itself into your system and I've personally found that it slows most of the systems I've install it on. If it came with your computer and is paid up i'd keep using it, but as soon as they want move moeny there are several free or less expensive solutions that are better. The main problem I solved with Norton is security and virus protection as well as protection from infected websites.